Congratulations to all the boys and girls who are so well behaved in the playground! 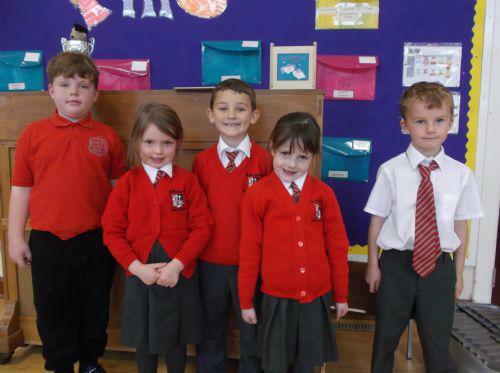 Here are this week's prize winners. Congratulations to Faith Mc Sorley who got an award but was absent for the photo.